Why are banks holding on to their home loans? When the financial crisis first hit the United States back in 2008, a large part of the problem was due to people who took out home loans for properties they could not afford in the first place. Due to eased restrictions and regulations, banks and other financial institutions were able to give that money to those who would not be able to make the payments. The defaults on these loans is what caused the U.S. real estate market to tank, with many places feeling the damage that had been done to the country's economy. Many major banks and other companies, such as Fannie Mae and Freddie Mac, were able to survive because many of the home loans they provided were packaged and sold through third parties. Now, however, there appears to be a shift happening. According to a recent article in the Wall Street Journal, the share of mortgages held on lender sheets accounted for 27 percent of 2014 overall originations. That, said information quoted from the Urban Institute's Housing Finance Policy Center, was the highest level in a decade. 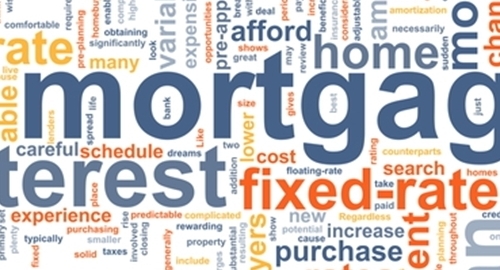 According to the organization, there are several major factors that have led to finance giants such as Fannie Mae and Freddie Mac holding onto these mortgage loans. Recent improvements in the economy, as well as low default rates from the U.S. government, have contributed to lenders keeping these mortgages. Because the finance groups are not packing these loans into securities and selling them off to investors, they are assuming much more of the financial risk. Experts predict, however, that this shift in behavior will not have a noticeable impact on a bank's earnings or profits. If you are in need of loan management software for your organization, be sure to contact Graveco Software today!